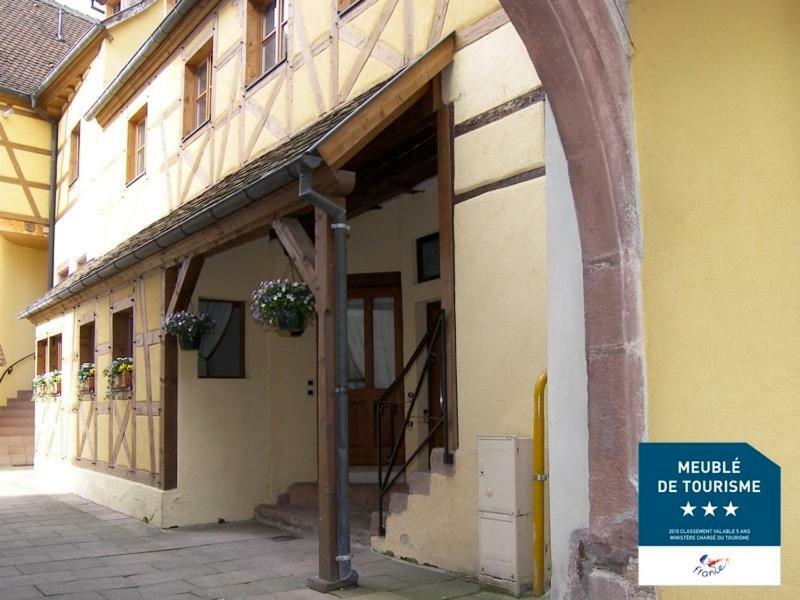 Located in Ribeauville along the Route des Vins d’Alsace, this typical Alsatian-style building features a self-catering apartment provided with bed linen and bathroom towels. Free public parking is available 10 metres away. This apartment at Gîte Cassis de l'Ami Fritz includes a bedroom with a double bed, a bathroom with a washing machine and an equipped kitchen. A TV and a DVD player are available in the living room. The restaurant Alsacien is open every day and offers you regional food, which can be taken under the shady terrace with vines. Ribeauville Train Station is 4.5 km away and Strasbourg Airport is a 50-minute drive. Colmar is 23 minutes by car and the German border is 24 km from the apartment. - seating area with sofa bed, TV and DVD player. All children under 2 years are charged EUR 15 per stay for children's cots/cribs. Please inform Gite Cassis de l'Ami Fritz in advance of your expected arrival time. You can use the Special Requests box when booking, or contact the property directly with the contact details provided in your confirmation. A damage deposit of EUR 300 is required on arrival. You should be reimbursed on check-out. Please note that reservations are only possible for a 7-night stay from Saturday to Saturday.